Why are leaves commonly flat, spongy and strikingly green? 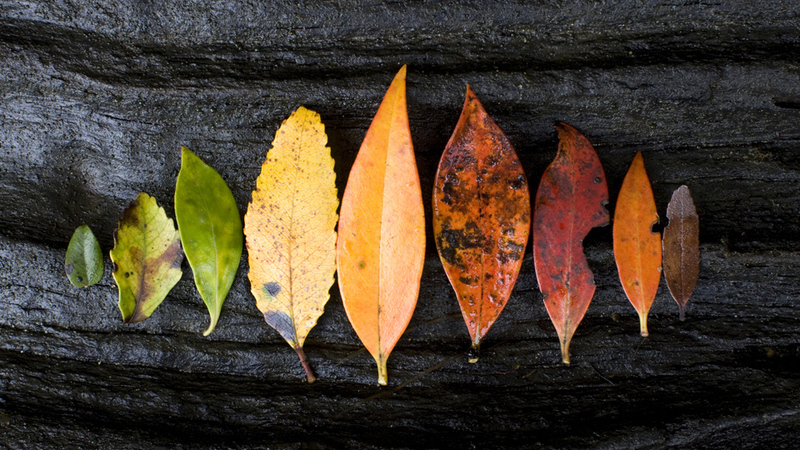 Discover the different parts of a leaf and their function. A leaf is made of many layers sandwiched between tough outer layers. Gases enter and exit the leaf through stomata. A leaf's main job is photosynthesis. Chlorophyll manufactures food from the Sun's energy. Leaves, they come in different shapes and sizes, yet nearly all are adapted to collect light from the Sun. Despite their differences, most have the same fundamental anatomy. The leaf blade itself has an upper, lower and middle layer. The upper layer, or epidermis, is waxy, for protection and to keep water in.